Camarillo is a city located in the Ventura County region. Camarillo is located near Arvin, Somis, Santa Paula, El Rio, Santa Rosa, Port Hueneme, Newbury Park, Thousand Oaks, Oxnard and Ventura and is comprised of the 93010 and 93012 zip codes. The real estate conditions in Camarillo are considered to be a "Seller's Market", which means the demand to purchase homes is greater than the supply of homes available for sale. Description: this is a darling, well appointed brentwood model in the desireable leisure village. the two bed two bath home has been recently upgraded throughout. the property features all new kitchen, bathrooms, flooring, paint, and much more. all new energy efficient fixtures, appliances and front door. the seller has even painted the garage floor. you don't want to miss this charmer, honestly it will not last long. this is truly a turn key home. we will review all offers at the end of the week. Listed By: Scott Squires of Squires Development & Real Estate, Inc. Description: camarillo heights home with massive panoramic views of the city. 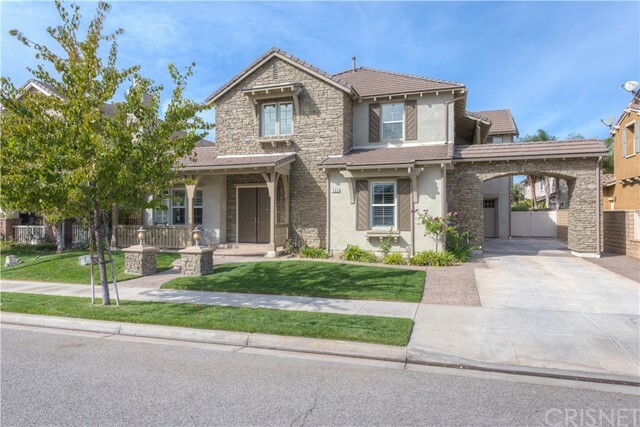 enjoy the large floor plan with 4 bedrooms, 2.5 bathrooms with 2,898 sqft of living space. featuring a spacious driveway with gated entry allowing ample parking. located only a short distance from the beaches, camarillo airport, camarillo premium outlets and the 101 freeway. occupied property, inspections not available - sold as-is. seller looking for cash offer with quick close. Listed By: Robert Compean of Urban Street Properties, Inc. Description: with approximately $200,000 invested in superb after-market luxury customization this 4 bd, 3.5 bth residence is set on a premier street in the prestigious village at the park community. the kensington plan model has a modern, flowing floorplan. a double-doored entry with soaring ceilings opens to the formal living area, centered around an attractive double-fronted fireplace. rich-toned wood floors complement the elegant neutral palette of the decor, punctuated with tuscan-style design elements. the kitchen/family rooms occupy the rear of the property, with access to the yard, bbq and outdoor entertaining. the expansive kitchen is equipped with granite countertops, center island, breakfast counter, s/s appliances, 6 burner stove, double oven, pot filler, butler?s pantry, wine cooler and food pantry. an informal dining area leads to the family room with fireplace and built-ins. there is 1 bd with ~ bth downstairs and 3 bds and 2 bths on upstairs. the master suite comprises a retreat (formerly 5th bedroom), fireplace, magnificent master bth and spacious walk-in closet. 2 charming secondary bds share a jack-and-jill bth while the upstairs landing serves as a tv room. the village at the park is a unique master-planned community that offers a host of amenities Listed By: Karen Baldwin of Ewing Sothebys I.r.